Are you a Financial Services Professional- Accountant, Insurance Broker, Credit Union or other? 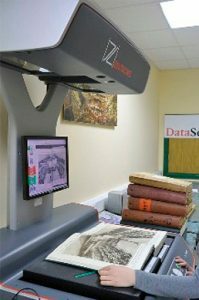 Datascan is experienced in the provision of a highly confidential scanning service, whether you are seeking to electronically scan your old Client files or provide a back up to your in-house financial records. Our scanning service is fully auditable and secured at every stage, including Biometric Access Control at our premises, we have taken every precaution to ensure that your clients’ data is secured & 100% confidential. Has your business built up a significant document Archive? It is likely that your documentation is taking up valuable office space that could be put to better use. Searching for any particular document uses up valuable administration time. – Our Archive Scanning service provides you with an electronic copy of your key documents. Scanned documents are fully and flexibly searchable. Protected from potential threats of loss such as Fire, Flood & Theft and even wear & tear. 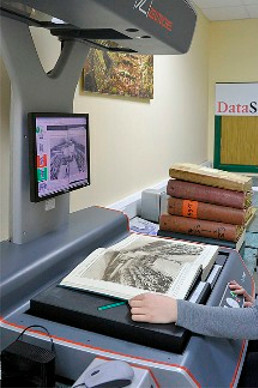 Scanned documents can either be confidentially destroyed or stored in cost effective deep storage. Let us become your electronic mailroom! 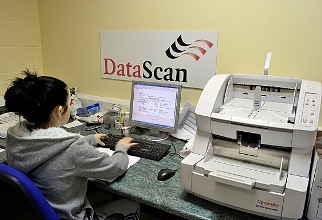 Your business mail will be delivered to Datascan either by dedicated PO box or special delivery. Your scanned images will be made available to your office by our secure cloud server, which will alert you by secure email when your images are ready for download. 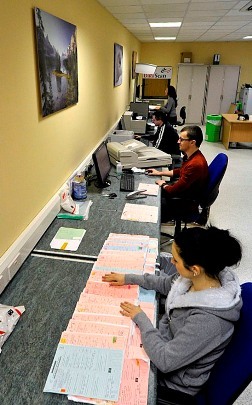 Alternatively, our staff will upload your mail and tags direct into your information system via secure link. Recipients will have their mail electronically delivered to their InBox within the agreed time schedule. Scans will be made available to download from our secure server. 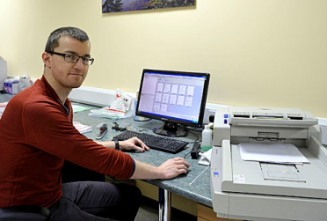 Alternatively, scans will be saved to agreed media – hard drive, disk etc. If you have recently invested in a management software package and have made the decision for your office to go Paperless from “This Day Forward”, we can provide your business with a customisable scanning service that will ensure that your systems will remain totally up to date. 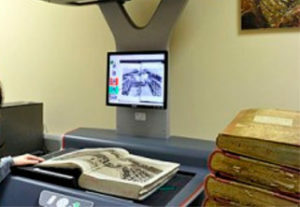 Our scanning service is efficient and more cost –effective than scanning in house. Want your scanned documents uploaded direct into your Software Package? 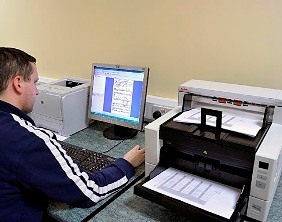 We have extensive experience of providing scanned documents ready for upload into Business Management Software packages. Whether you require your data in .JPEG, PDF, CSV, or XML, formats our systems are flexible and our outputs are customisable to your. For contract customers we can upload scanned information directly into your systems via secure link. Do you already have your archived documents stored in a records management warehouse? Files will be protected from potential threats such as Fire, Flood & Theft. Has your office already gone completely paperless? 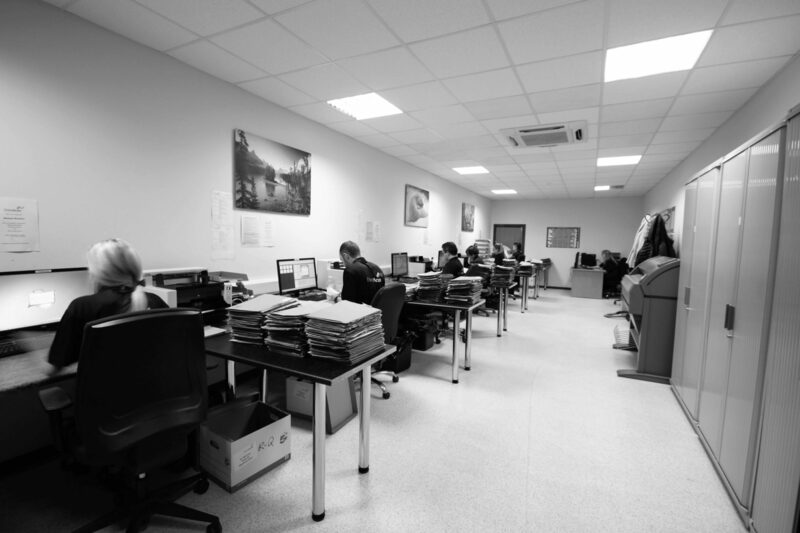 We understand that even the most efficient office environments can build up a scanning backlog during busy periods. To help your business keep your systems up to date, we offer a customised scanning backlog service, which can be called on when the need arises. This removes the headache of out of date systems & allows your staff to concentrate on their own activities.